The resulting tool provides a way to target and delete much longer expanses of DNA than current Cas9 tools can. That power could be put to work in genetic research to understand the underpinnings of disease – and potentially in treatment for diseases tied to long stretches of DNA. 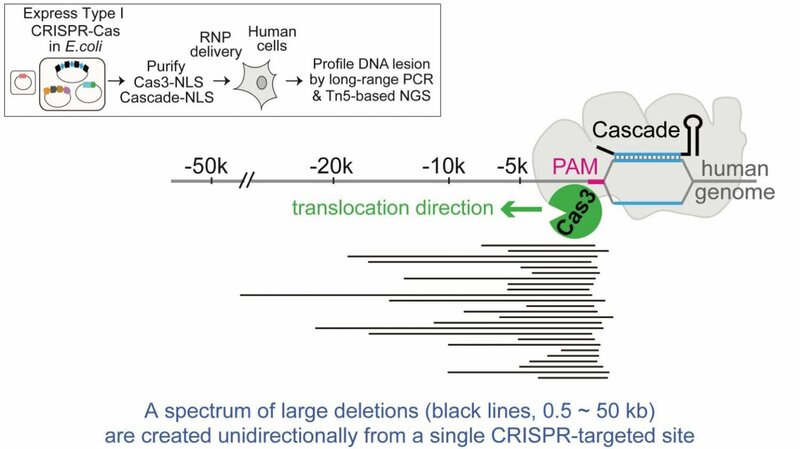 Yan Zhang, Ph.D., the University of Michigan scientist who led the research, explains that the new tool harnesses a different type of CRISPR system than the Cas9-containing ones widely used. Both are borrowed from bacteria, where they normally function to find and weed out invading DNA.